Tamura Shihan (8th Dan Aikikai) joined the Aikikai in 1953, becoming a long term uchi-deshi (live in student) of O-Sensei. He moved to France in 1964 as the official representative of the Aikikai, to spread aikido to the international community. Tamura Shihan has massively influenced the direction of aikido throughout Europe. The focus of his teaching was in France where he was the technical director of the Federation d’Aikido et de Budo (FFAB). 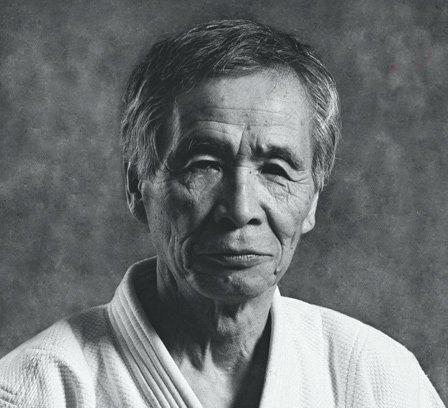 Prior to his passing in 2010, all dan grades for the Edinburgh Aikido Club were awarded by Tamura Sensei. The Edinburgh Aikido Club continue to follow the technial direction of Tamura Sensei through their training with Jacques Bardet and Toshiro Suga, both senior instructors within the French Aikido Federation (FFAB).